Every single person on this Earth commits one or the other mistake. There is no one who can be called as a perfect man. After all, it is from the mistakes that we learn to improvise. However, making a mistake on your first or (even after doing a hell lot of jobs) interview application is the worst that can ever happen to anyone. People feel that interview is the first and the foremost way in taking a step forward for any particular job. Most of them are alien to the fact that application is the very essential way in showing off your need for the job. Remember, a job application is something which you prepare for an employer, way before than meeting face to face for an interview. Usually, it is the application which determines your ability in chasing away the job or prohibiting it from taking it. Hence, it is of utmost importance for every single person to shine out in his/ her first application. Mistakes are very common as it is made by all and that is what gives us the title of being humans. However, in job applications, you cannot afford to commit any sort of mistake, be it even the silliest of all. These mistakes should be minimized in the first position itself as it can take a toll on your job position. One must always skim through the application a hundred times before giving it a final call for the submission. 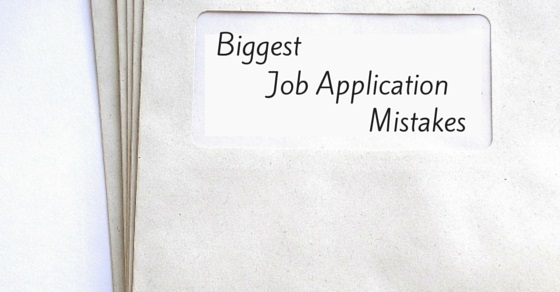 Let us have a look at the various mistakes that people usually commit in their job applications. Job hunting is the most difficult phase in each and every person’s life. And once you have found one, to grab the opportunity in seeking that position and maintaining that level is another heck of a task. Hence, it is necessary enough to make the employers go gaga over your resume and is left with no other choice than hiring you. Grammatical or spelling errors are the worst that grab the employer’s attention. Although we think that they come under silly errors, however, they play an important role in determining one’s ability for a job. It reflects a negative attitude of not being determined and being negligent towards your work. The employer’s might think that if you cannot spend an extra hour checking and correcting your resume, then how would you be dedicated in emerging as the best employee in the work place! Hence, it is of utmost importance to submit a typo free resume with no grammatical errors. This is one of the top most mistakes which many people neglect and are trashed upon for doing so. One should never go aboard while following directions. Every firm has its own set of rules which has to be maintained and followed by one and all who has been part of this firm or is wishing to be a part of it. One should always check on the application form while filling it. Do not just randomly fill in the columns without even reading what is mentioned. It is very important to read each and every step carefully. Never ever fake things in the resume. This is a total no in a professional field. One should never tailor the position which one is not capable of. It should be your absolute law to write correct things in the resume which will not put you in the front when it comes to questioning. Always write right stuffs in the resume which an employer is looking for. Hop into the things which fit into the category of each one’s criteria. It is necessary to not go beyond the given job description. It is the employer who searches for accurate and up to date qualifications in every resume. Hence, while skimming through tons of resumes, he obviously picks up on those resumes which are impressive enough to stick to the description of the job that has been provided. Hence it is utmost important to gain knowledge about the firm’s background, its history and the various pros and cons which would either risk your job title or gain you immense profits in that position. It is a usual phenomenon for people sending resumes to a thousand firms at a time. This happens because of the rush and the need to go ahead of everyone which most people experience. But, that does not count in making inappropriate decisions and landing up on the interviews which are not your cup of tea. Always check for the description which a job wants from you as an employee which would make things easier for the employer as well as you. Keep in mind to select jobs which you would find interesting enough to work on so that you won’t start complaining for it after few months. 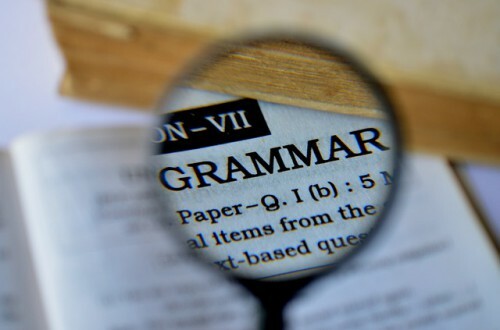 If proofreading of your resume is not done, then this throws negative light on your work as being an employee. It should be your most absolute law in checking your work thrice or even more before carrying forward further. This is a mistake which most job seekers commit and hence are either rejected in the first place or being called off for an interview and then asked for an explanation for showing such major heights of negligence or carelessness. Social media has become an important part in everyone’s life. And hence can be counted in as being the crux of everything. One must keep an eye on each and every social media sites for information that would cost their job. Social media can be used in both ways, either destroy one’s life or even help them climb the ladders of success. Thus, having an account on a thousand social networking sites adds beauty to your resume. Moreover, it helps in giving out valuable information regarding job applications. This is the worst thing that can ever happen to an employee. While filling in the reference part in the resume, it is necessary enough to add connections of notable persons. However, it does not give us the freedom to add on those names which you don’t even know of in personal life or have personal contacts with them. Never lie in your resume. It is always better to play on a safer side while attempting to apply for a job as the employer is always smart enough to pin point on your flaws and it is better not to be caught red hand that would definitely spoil your first impression. Usually an employee fakes stuffs which are actually not real in his/her life and might have not experienced it either. To make a resume look good and attractive enough to be chosen in the first place is the only reason for committing this mistake. However, the employer or the hiring manager is smart enough to find out the flaws and wrong information written in the resume which would later end you being fired for lying. Hence, it is necessary to show off your skills in a good way and not exaggerate them to crack a light in the minds of the employer of you lying stuff. To know more about the company is of utmost importance. Every established or start up consultancy has its own share of rules and regulations which are to be followed by all. And also, they have their own tastes in growing their company as well as while choosing recruits. Hence, it is important to know about the company right from its inception and thus counts as a crucial part of the job application process. Do not make silly mistakes that would cost you your job. Even while having all the necessary qualifications for a particular post, you might be left behind just because of one single handed silly error.Always add a cover letter to your resume. Empty mails might count in for that silly mistake. As now people are used to having recruitment process via the internet, it is necessary to make your first impression the last one. And that can be done by making your first impression so presentable that you will definitely bag onto this post. Never keep your mails empty while sending your resume. At least fill in one line of appreciation or acknowledgment, either to the hiring manager or to the employer itself. This has to be taken care of while sending long distance letters for the recruitment process. 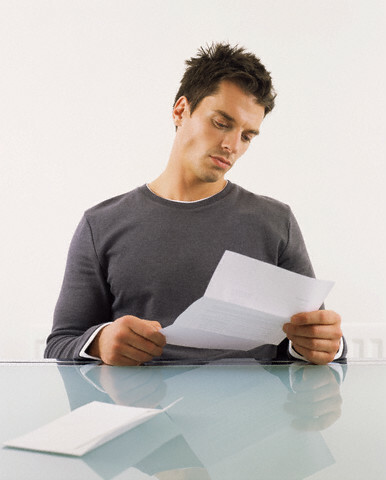 Letters have to be presentable enough to grab the attention of the employer as that will benefit the job seeker. 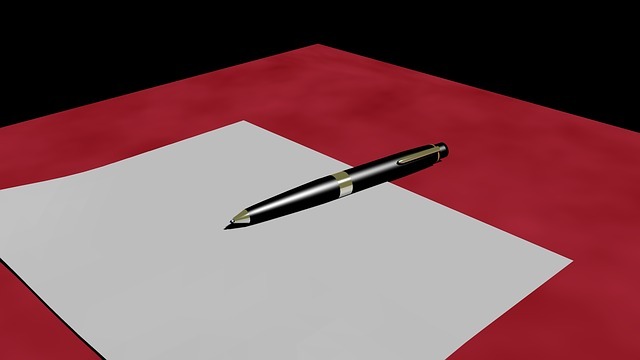 Never keep the cover of the letter blank as that would leave a negative impression in the minds of the employer. As a letter, you have just a few seconds of time before going into the trash bin after getting neglected by the employer. Hence, let us get professional by showing some kind of interest in seeking this job so that the hiring manager or the employer does not tear off your letter in anger of not being responsible enough to fill in the blank space of the letter cover. This is a common mistake which all job seekers commit. People always want ready made stuff and hence this mistake is the most committed one in all times. Jobs which are posted online are the ones that gain most resumes. But there are a thousand jobs awaiting your presence to be felt which do not want to come out in the limelight for being the most talked about job. However, one must keep track of both, online as well as offline jobs which are possible only by active communication with people in and out. Someday you might get a chance to be seen in one of the most popular magazines for being the best ever candidate for that particular position and firm! A hiring manager has to juggle between a thousand job applications and is constantly busy 24/7. If in the middle of that you keep calling him for inquiring about your job position in that particular firm it would definitely throw you off track. It is not good to hound the hiring manager as it is his job to inform the people who have been hired and to those who have been not. Keeping a track of your chance into getting this job is sometimes okay, but not always. If you are thinking of doing things in an innovative and new way, then it is necessary to take guidance from known people. Sending a picture of your own is quite an impressive way to shine out in the job applicant list. But it is important to do it in a professional way and hence choose such pictures which show off your dignity and status. Send a pocket sized picture of you sitting in a studio well lit and well dressed. Do not ever send group pictures or pictures of self pouting or doing weird expressions. Remember, it is not a fun game. It is necessary to showcase your talent in a right way. That does not mean that you go on bragging about the work you have done so far. Remember; always highlight the fact that your accomplishments should be way much higher than your duties. Even if you have worked for it, write the acknowledgment and the appreciation received in the end. Employer’s check for accomplishments rather than the duties performed. This is considered to be the most talked about negative thing in a job application’s form. Your resume should be eye catchy and eye picky. It should not look like a giant to anybody. It should not be pierce enough to give a negative vibe of not being selected. 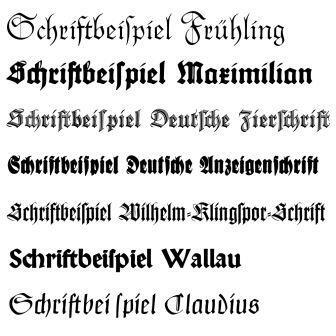 Choose a font that suits every job position you are trying for. Moreover, take guidance for prominent persons who have worked in the field so far that your resume does not go into the trash box. This is the worst case scenario of all times. With the advent and advancement of technology, tech savvy people applying for jobs fail to care for the sensitivity of the issue. For them, everything starts from the power on button and ends with the power off button. That is not the case! Employers look out for people with determined attitude of working even without the presence of a computer or a laptop as they are manual in nature. Imagine your resume having the tagline of being “Sent from IOs, Sent from Android“. Networking has become an important drug in each and everyone’s life. It is now the spinal cord of each and every techno savvy body. Hence, it is necessary to have an online presence for seeking a desired job of your own. Make an account on all the possible social sites to increase your networking and getting acquainted with all the happenings of the outside world. Online gives you an advantage of being the jack of all trades by sitting right in front of your computer. Resume is the crux of the job application process. To keep it updated with the existing trends is naturally important. Not keeping it updated consistently shows your intention of lacking behind in this race of competition. Update your resumes with new experiences, new work places, skills, talents, strengths and real references. Never increase the length of your resume page from more than 2. Keep it as simple as possible. Never keep it too less or too lengthy. These two disastrous resumes surely find their way into the trash. All these possible factors find their way in spoiling the essence of the resume and hence ultimately end up their life in the trash bin. Thus, utmost care should be taken while preparing a resume, updating it and sending it to the right firm at the right time. Think a thousand times while clicking the send button by improvising the resume from time to time. If these factors are kept in consideration, then nothing can stop you to establish yourself in the place you want to.